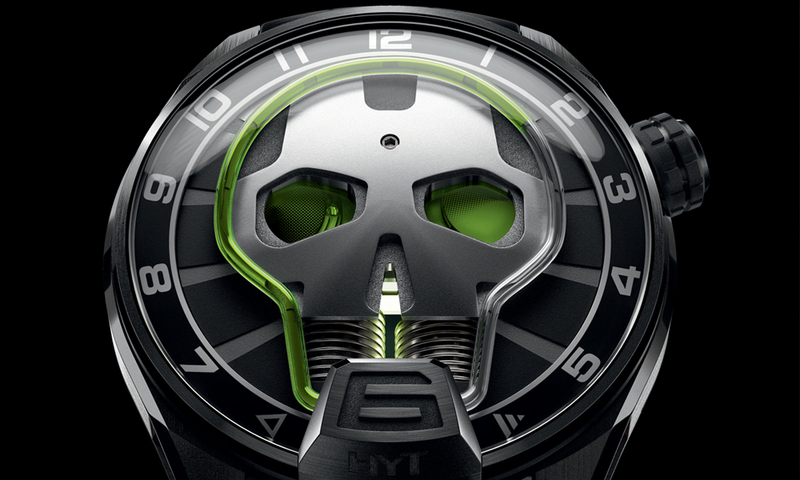 HYT’s CEO Vincent Perriard has announced HYT Skull, a new addition to its line-up. It will be available in two different colour pallets upon its release: Skull Green eye and Skull Red Eye. 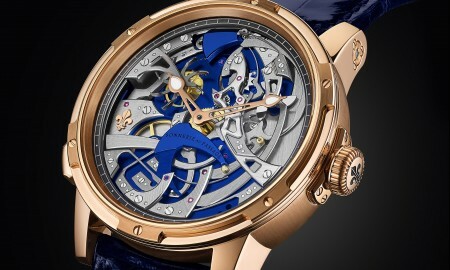 The bold design uses a technique previously used by HYT, which uses a capillary to carry fluid around the skull, acting as an hour marker. To move fluid around, two vertical bellows function continuously. It completely does away with the minutes, which puts the focus on the capillary itself, the only indicator of time as it passes, insinuating the pieces architectural design. 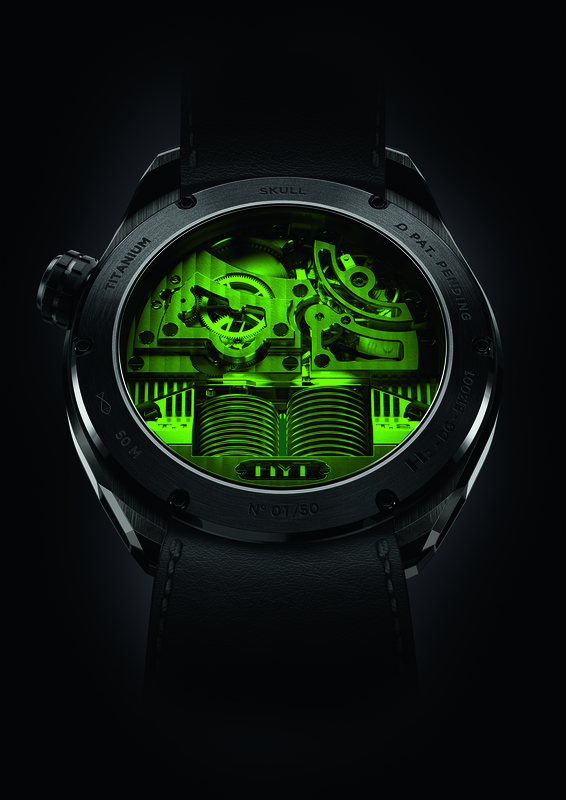 In similar fashion, the HYT Skull almost entirely hides the movement on the dial side. The eyes of the Skull themselves take on a purpose of their own. 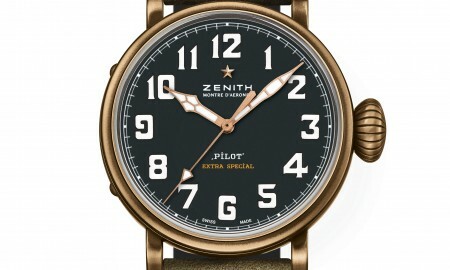 The right eye indicates the power reserve of the watch, while the left eye features a barely-visible second’s dial which rotates continuously. Through the use of subtly different translucent coloured inserts, each eye gradually darkens. A honeycomb pattern background further insinuates this design concept. Contained within a 51 mm case is a mechanical, manual-winding HYT calibre movement. 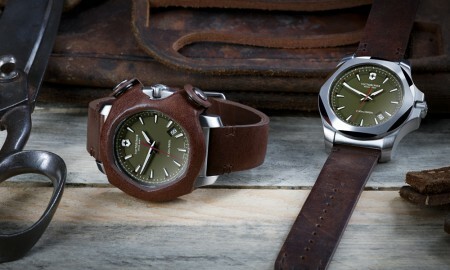 It will be available in two, limited versions. The first, ‘Skull Green Eye,’ will be produced in DLC titanium with green fluid, whilst the second, ‘Skull Green Red,’ will be manufactured in 5N rose gold and black DLC titanium, with red fluid. 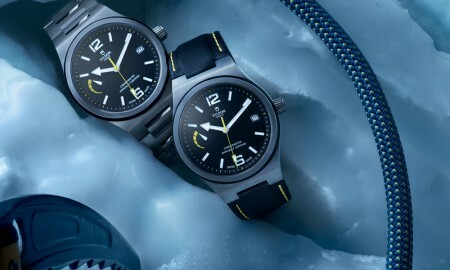 The case features crisp angled lugs, whilst a single assembly push-button of the crown adjusts the time, and is located between 2 o’clock and 3 o’clock. They will be limited to an exclusive run of 50 pieces and 25 pieces, respectively. The first pieces have already been distributed. Limited availability. Green Eye exclusive to 50 pieces. Red Eye limited to 25 pieces.